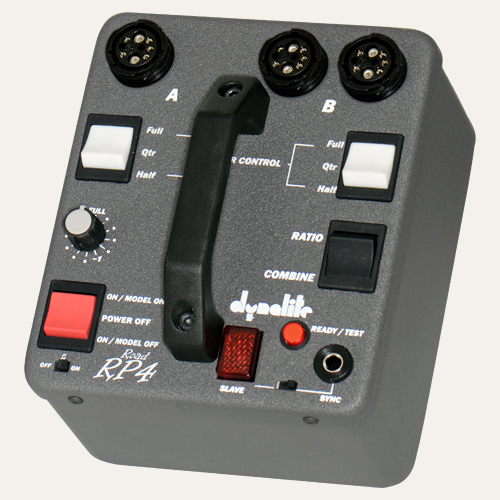 Dynalite Road packs have three sockets and are designed for portability. The Roadmax add an extra socket and a PocketWizard receiver. The high performance Arena series feature capacitor switching for faster flash durations, while the Studio packs have four sockets, a built-in PocketWizard and better modelling lamp control. For more information, visit the Dynalite web site. Flaghead Photographic have been appointed UK distributor for video and broadcast lights manufactured by Hedler of Germany. New York retailer B&H now sell two new fluorescent lighting kits under their Impact brand. The Octacool 6 and Octacool 9 feature 28W daylight fluorescent bulbs, suitable for both stills and video. The 6-lamp model is $219.95 and the 9-lamp is $259. Hong Kong supplier Phottix have announced the PPL-400, their own brand for the CononMark DL4 ultra-portable 400J flash. They are available now from the Phottix Store for $667.75 including battery pack. Specifications are found in our Portable Power Guide.